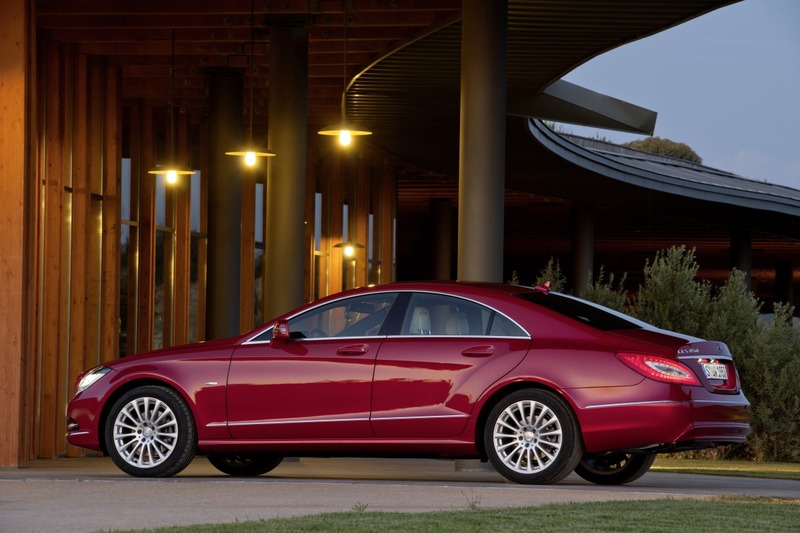 Mercedes-Benz’s plans for 2011 can be summed up in three words: Sport, speed and space. 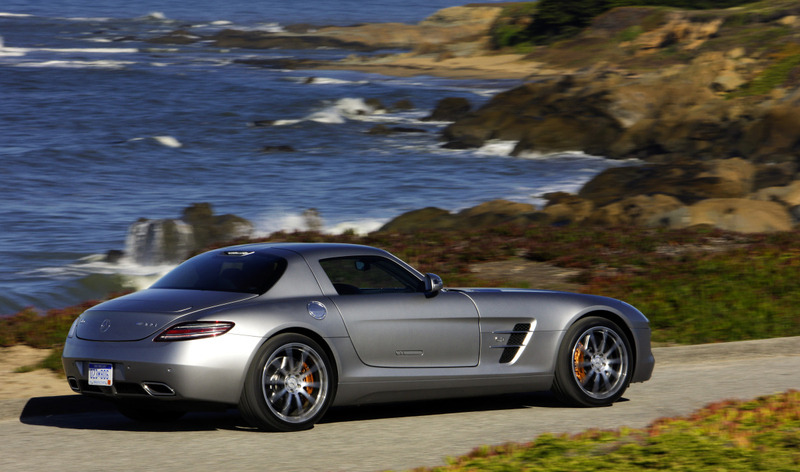 When it comes to sport, you have the stupendous SLS AMG. And various and sundry other sporty models. Speed? Well you could almost consider the entire lineup for that. Is there a slow Mercedes around in there anywhere? Don’t think so. 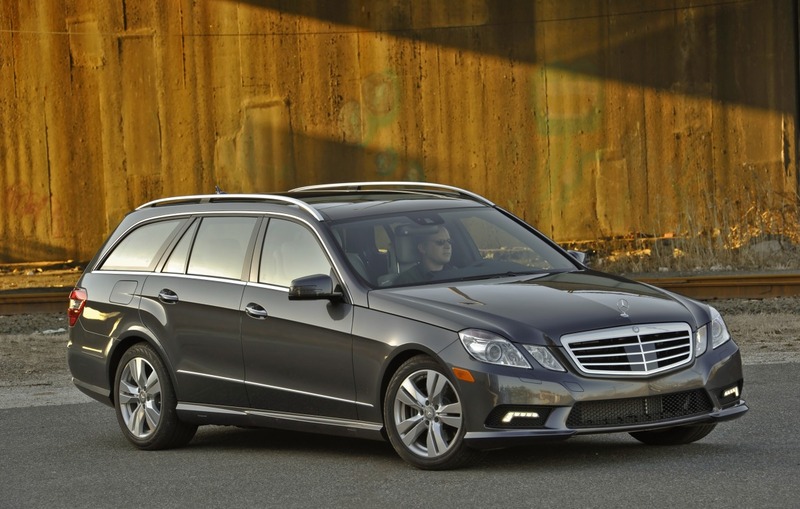 And for space, there’s the heavily redone R Class crossover wagon, one of the most spacious crossovers on the road. Other big news includes mbrace, the name that Mercedes gave to its up to the minute new system that can provide you with current weather information, traffic conditions and emergencies, and when you need it, emergency help, among other things. You’ll also notice that many of the Mercedes products for 2011 share a new grille design that harkens back to the vaunted classic SL sports models of the 1950s. It’s an unmistakable sight. So let’s get down to business and see what we have here: Mercedes SLSAMG Quite the stunner, this one. While the rear wheel drive sports car does pay homage to the classic gullwing doored Mercedes of the 1950s, it still is very much its own car, and we don’t think the “retro” tag would be fair here. The rounded, voluptuous styling, elongated hood, and other cues suggest this is a car very much of the 21st century. Priced at $187,450. it’s powered by a 563 horsepower,6.2 liter V-8 backed by a seven speed dual clutch automatic. Mileage is 14/20 miles per gallon, and you’ll be looking at 60 in 3.6 to 3.8 seconds, according to published reports. As you might expect, interior materials and fittings can only be described in one word: glorious. The leather is sumptuous, the instrument panel design hints once more of the 1950s classic, and the entire effect of the interior is mesmerizing, to say the least. The car also comes with a spoiler on the trunk lid which activates automatically at 75 milers per hours. It also offers you the option of pushing a button and engaging it at any other time that you like. Thin k of the SLS AMG as a supercar for those looking for something that represents a mix of heritage, blistering performance, and of course, the cachet which comes with piloting a rare, remarkable automobile. R Class First thing you’ll notice about the new R Class is that it is graced with the aforementioned classic style Mercedes grille. It’s a big improvement and rids the car of some of the awkwardness of the front end design and the resulting side profile that made the old model look more like an extended wheelbase minivan. In fact, the whole front end has come in for quite a bit of work. Along with the grille, you’ll see that the bumper, fenders, headlamps are all bvery different. Around back, you’ll see different taillights, a new bumper, a diffuser and integrated taillight trim, and an overall emphasis on on giving the car more horizontal dwefinition-- a goal that also was an important one fore front end design. 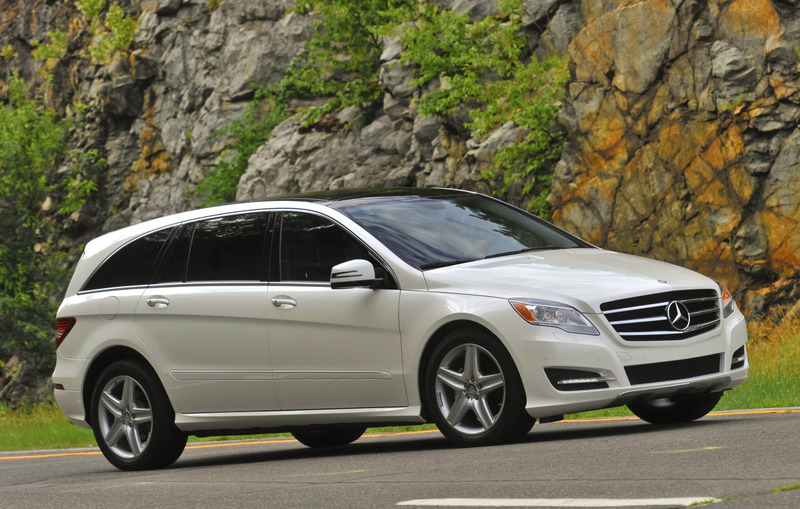 Power comes from either a 210 horsepower 3.0 liter turbo diesel V-6 rated at 18/24 miles per gallon for the BlueTEC model or a 268 horsepower, 3.5 liter V-6, rated at 15/19 miles per gallon. Prices start at around $50,000. 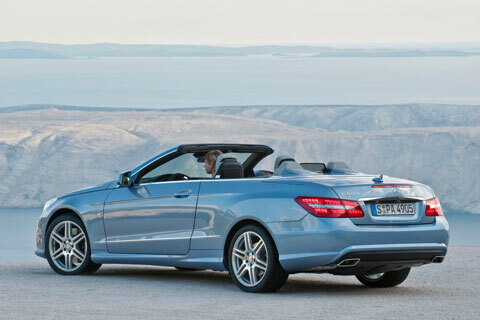 E Class Cabriolet We’ve already filled you in on the glories of this new convertible in a road test we published a couple of months back. But to refresh y9ur memory, it comes with a new Aircap feature that allows all four passengers to rived in draft free comfort, and it comes with your choice of two engines-- a 3.5 liter, 268 horsepower V-6 or a 5.5 liter, 382 horsepower V-6 that can sure put some tingle in your spine when you accelerate. Mileage is rated at 15 to 15/22 to 26 miles per gallon. Trust us. Driving this one is a lovely way to spend a day--regardless of weather. The rest of the E Class lineup A wagon joins the others on the showroom floor, offering a rear facing third row seat and an air suspension round back. You’ll want to look for the E Class Lane Keeping Assist and automatic braking system and Active Blind Spot Assist. Engine choices are the same as the cabriolet. 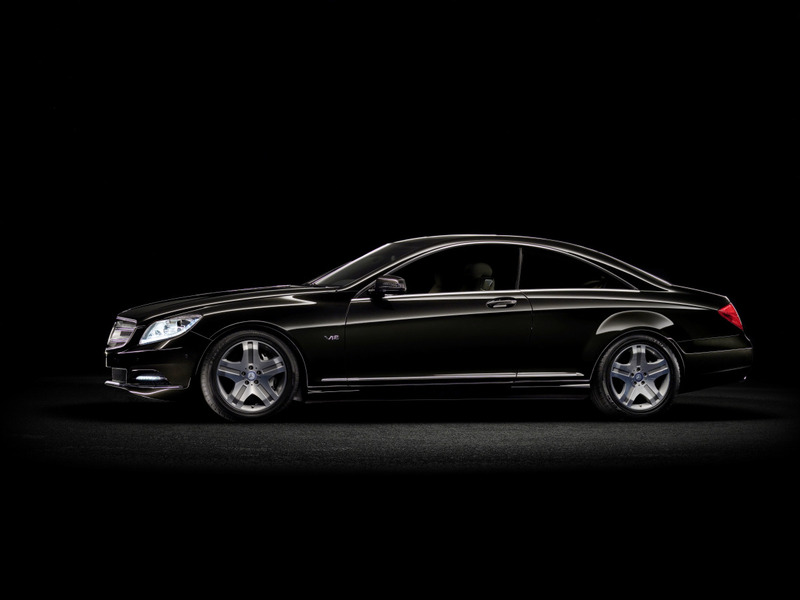 13-23/20-32 miles per gallon is what you can expect with the E Class, depending on your choice of model. Mercedes SL Class Looking for something to set yourself apart even further in a car that already puts you at the head of the class? 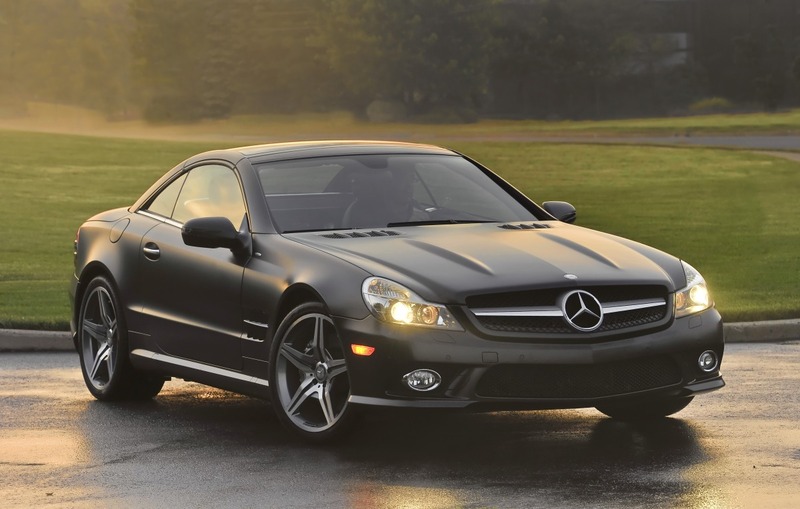 Splurge a little and order an SL 550 Night edition which features black leather seats and a sharp matte black paint finish, along with AMG wheels and snappy looking silver painted brake calipers. Fabulous. New equipment on this luxurious convertible include Sirius Traffic information, tire pressure monitoring, and HD radio. Engines include a 5.5 liter, 382 horsepower V-8, a 67.2 liter518 horsepower V-8, and a romping, stomping, 6liter, 604 horsepower twin turbo V-12. Take a breath while you can in that one. Mileage ranges between, 12-14/ 19 -22 miles per gallon. Prices? They range from $104,775 to $202,225. Mercedes SlK Not much new here. You can get either a 300 or 350 model, there are some new styling cues such as black inlays for headlights and some new wheels. We think an all-new SLK is on the way soon, however. Engine choices here are the 3.0 liter, 228 horsepower-6, or a 3.5 liter, 300 horsepower V-6. Mileage ratings are 17 to 19/25 to 26 miles per gallon. Mercedes CLS Whenever we see a CLS, we can think of only one phrase, made popular by Barbra Streisand: “Hello, gorgeous.” This impossibly beautiful sedan, with its classic, elegant yet up to date semi-fast back styling is one of Mercedes’ emotional, expressive models. The delectable example you see before you is the all-new 2012 model. Ordnarily we would cry if one of our favorite designs was replaced, but in this case, MB accomplished the impossible: They improved a classic. But these lovelies, at least as far as we know, wil not be available until the summer of 2011, so if you're not known for your patience, you may have to settle for the merely stunning lines of the current model. Sigh. We only wish! More details soon on the 2012 are on the we ay. Stay tuned. Mercedes C Class The main changes to Mercedes’ entry level luxury sedan is the addition of mbrace, which we mentioned earlier, and black headlight inlays on models that don’t have bi-Xenon lenses. There have been some minor changes to the control switches as well. Engine choices include the base 3.0 liter, 228 horsepower V-6, an optional 3.5 liter, 268 horsepower V-6, or a 6/2 liter, 451 horsepower V-8. Mileage ratings run from 12-18/to 19-26 miles per gallon. Prices begin around $33,000 to $34,000 and hit just under $59,000. Mercedes CL Class Long live hardtops--at least if they are anything like the CL Class. This rarefied hardtop has been restyled and receives the mbrace system like several other Mercedes models do. Surprisingly, for a car so rare, there are plenty of engine choices ranging from a 4.6 liter, 429 horsepower, twin turbo mv-8, all the way up to a 621 horsepower twin turbo V-1`2. Mileage4 is 11-17/17 to 24 miles per gallon. Prices? You had to ask. Think of somewhere between $115,000 or so up to over the $200,000 mark. Mercedes S Class The S Class is still king of the road as far as prestige in sedans go. There’s a new 536 horsepower5.5 liter twin turbo V-8, along with an all new 241 horsespower 3.0 liter turbo diesel. And there’s also a hybrid model you’ll want toa check out, too. Prices start in the $90,000 range, and they reach a stratospheric $205,000 (estimate) price as you head up the model ladder.